Whoop Whoop. “Hey Siri, I’m getting pulled over.” That’s all you have to say in order for Siri to be on your side. Created by Robert Peterson, “Police” is a new addition to Apple’s iOS 12 “Shortcuts” which allows a user to discreetly record encounters with law enforcement during traffic stops. This is how it works: when you are getting pulled over, you simply tell Siri something along the lines of “Siri, I’m getting pulled over.” At that moment, any music that is playing gets turned down along with screen brightness. Further, the iPhone is put into “Do Not Disturb” mode and a text message let a pre-arranged contact know that you are getting pulled over, while also sending the latitude and longitude of your position. If that is not an accurate enough accounting for you, you can then press the record button to start filming a video of your entire encounter with the police. After you have finished recording, it is sent to a pre-selected contact or uploaded to a digital storage system where it can be viewed later. Though there are several apps that allow you to discreetly record police, this is one of the first in Apple’s “shortcuts.” The question obviously becomes “are you allowed to discreetly record police”? Well, it depends. Generally, you have the right to videotape and audiotape police officers during the course of their public duties. This means that you can record an officer during a traffic stop, during an interrogation, or while he/she is making an arrest. Moreover, officers are not allowed to delete your footage for any reason and are not allowed to confiscate or demand to view the recording without a warrant. This “Shortcut” is often compared to the cameras that officers wear on duty; however, this app goes beyond just the simple body recordings. As Peterson says, “I just wanted a way for anyone to have proof of their version of events in the unlikely scenario that something happens during a police interaction.” This statement brings up an interesting point. 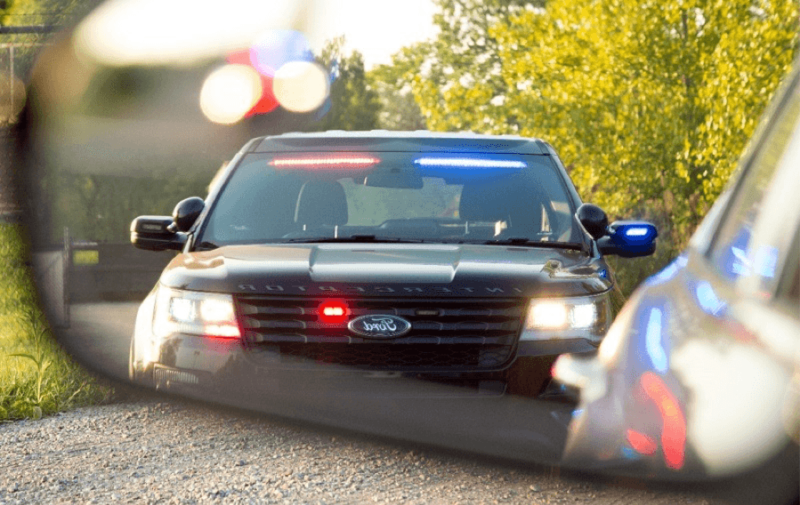 When you are pulled over by the police and are issued a ticket, it is typically the officer’s version of events that are relied upon, which serves the best purpose more often than not. Yet, in the unlikely scenario where there is an abuse of power by the officer or an inaccurate depiction of the events that took place while you were pulled over, this “Shortcut” can provide a little more clarity. This now raises another vital question: can these videos be taken into a court to help paint your version of the events? Assuming that it can be reasonably authenticated and is related to the matter is decided, it may be admitted as evidence in court. However, this is the extent to which this issue can be answered. Many states have different recording laws, and the standard for what can be legally admitted into court varies across the states. However, what we gain from this “Shortcut” is that anyone who feels that they are being taken advantage of during a police encounter will have their version of the story on video, creating a permanent record. Student Bio: Gregory Nicholson is a second-year student at Suffolk University Law School and a staff member of the Journal of High Technology Law. He graduated from the University of Connecticut in 2017 with a Bachelor of Arts in Political Science and Economics.